Sometimes when sit down and reflect over the past few years, I realize how blessed (and I mean really blessed) my friend Mike has been. 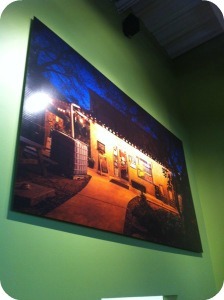 A beautiful photo of the North Flores location now hangs at The Pearl. Photo was taken by Scott Martin. Mike is one of my husband’s, Paul, best friends, and somehow he talked Paul into joining him on this little crazy adventure back in 2006 — a vegetarian restaurant in San Antonio. At the time, San Antonio didn’t have a vegetarian-only restaurant. They were trailblazers in a city that loved its meat. Mike and his Mom Lulu were already infamous with San Antonio locals for their chicken fried steak and 3 lb cinnamon rolls at Lulu’s Bakery & Cafe. However Mike had this vision to share his passion of vegetarian food with the city. So he bought a 100 year-old brink building on North Flores that was just a shell. Half of it had no roof. There was only a dirt floor. Its history started as a bakery in 1896, before it transitioned to a produce company, a bar, and then sketchy rental rooms. Mike remodeled it and made it beautiful. Since then they’ve certified Green as a kosher restaurant. Chris, Mike’s brother, joined the team, and they’ve opened up a second location at Alon Towne Centre on NW Military. As it turned out, San Antonio liked having a vegetarian restaurant. And then the blessings kept coming — they were given the opportunity to open up at the historic Pearl Brewery on the museum reach of San Antonio’s River Walk. If you follow me on Instagram and Facebook, you’ll see I mention Green quite often. That’s because I’m proud of what Mike, Lulu, Chris and Paul have made it into. Green is closing it’s North Flores location. Friday was its last day. Emotions are mixed about the move. Talking to the wait staff, some are near tears about leaving their comfy home on Flores. Others are excited about new, artistic facelift at The Pearl. However Mike is making sure some some of Green’s original elements will make the move too — like the lamp shade wall and graffiti picket fence. If you haven’t ever visited Green before, or are a regular customer, be sure to enter my $25 gift card giveaway below. Deadline to enter is Thursday, March 7, Midnight. 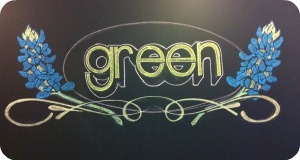 Also be sure to comment and to share your favorite menu item at Green. Mine is the Mediterrain Bowl, but lately I’ve been craving the Monk Bowl — made with kale, beans and quinoa. It sounds rather simple, but the flavors are complex. Green Vegetarian Cuisine is located at The Pearl, Full Goods Building, 200 E. Grayson and at the Alon Towne Centre, 10003 NW Military, Suite 2115. 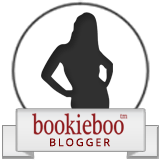 Enter to win a $25 Gift Card to Green in this Rafflecopter giveaway. The pecan hummus and the Mediterranean bowl sound delish!! I’ve only been to Green one time, so I feel a little like a poser saying that the falafel burrito is my “Favorite” but I did have it one time and really enjoyed it. Excited about the new location. The first time I had sweet potato fries was at Green and they’re still my favorite!